I have the misfortune of living in one of the two states that has legalized the growing, distribution, use and promotion of marijuana. The fauna and (natural) flora of Washington are scenic beyond compare. But in order to enjoy them, I am forced to live in a location where what was inconceivable a decade ago has become commonplace. This week, in my small town of nine thousand, they opened our first “hookah lounge.” Although the owner’s initial license only allows the sale and on premises use of various tobaccos and other weeds, it’s no secret the owner is eager to expand his offerings. While I’m sure the entrepreneur thought he concocted a brilliant play on words for his establishment, I cannot help but shake my head at the irony. After all, what does the phrase actually mean? The expression isn’t truly an “idiom,” since the words are quite straight forward. It means what it says, referring to something of potential value that has been burned and is now lost, spoiled or wasted. Of course, the last of those synonyms also has another connection to the world of drugs. I suspect the actual meaning of the phrases pass right over the head of the owner. He certainly misses the irony, or he would not adorn his establishment with that moniker. As I try to recall every individual I’ve personally known who used the drug, I’m unable to think of a single person who stopped there and did not at least experiment with some other drug. From my subjective experience, it definitely proved to be a “gateway” drug. While none of these acquaintances became what would traditionally be labeled an “addict,” I can think of several tremendously talented and gifted people who never lived up to their potential. And I attribute at least part of that regret to being distracted from school and employment as young adults. Similarly, of all of the people I’ve counseled regarding drug-related struggles during the past three decades, I’m hard-pressed to recall a single one who did not begin his or her narcotic journey with the ubiquitous weed. I’m not casting stones here. I too waste far too much time and energy with fruitless distractions. In doing so, I watch part of my own life go up in smoke. Still, I doubt I’ll ever experience the slightest temptation to waste the briefest moment of my life . 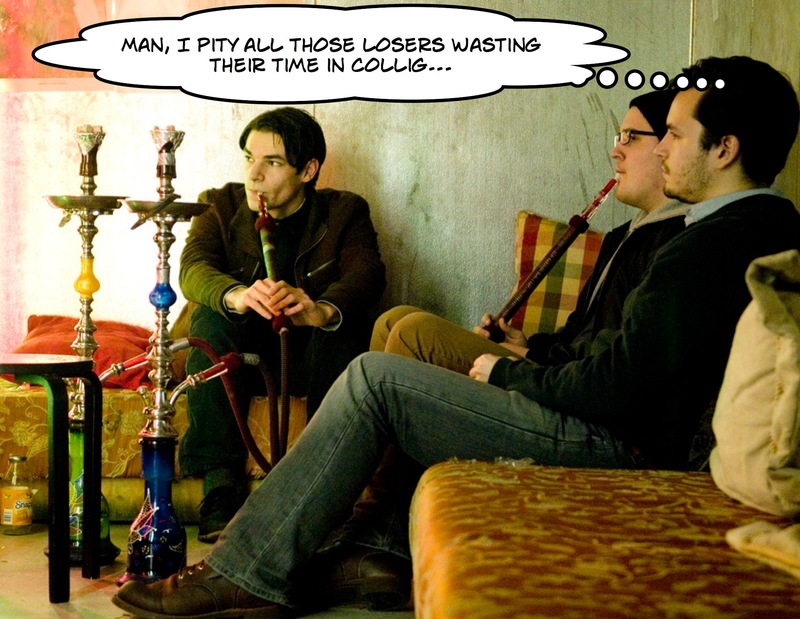 . . in an ill-named hookah den. We have a relative who became a “pot-head” through the influence of bad “friends.” By God’s grace this person did not move onto harder drugs, but they did let wonderful life opportunities “go up in smoke” while they descended into a life situation that is taking years to overcome. The “friends” are long gone, but the damage they led our loved one into is still not repaired three years later. Will be praying for your loved one.